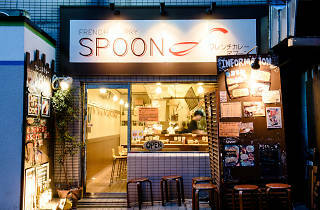 Curry is the embodiment of home cooking in Japan, while French cuisine is considered the epitome of fine dining. 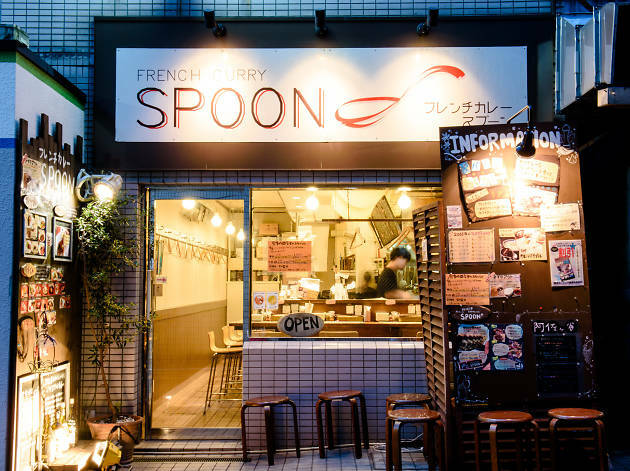 The two worlds don’t meet very often, but Spoon’s exceptional French curry is a surprising bridge between both cultures and culinary experiences. After over a decade immersing himself in haute cuisine and working at posh French restaurants in central Tokyo, Naoki Wada was ready for a change. 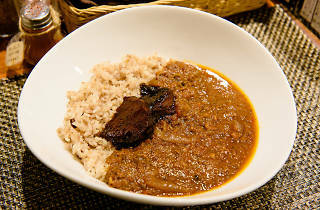 His unique French curry is the first of its kind; it features a blend of 13 roughly cut spices that boosts the texture of the sauce and cuts of tender beef boiled in wine. 13 seems to be the lucky number at Spoon, with the motif continuing in the types of grains that make up the rice and the wine selection (white goes best with Spoon’s curries) with options from France, Italy and the US, among others. 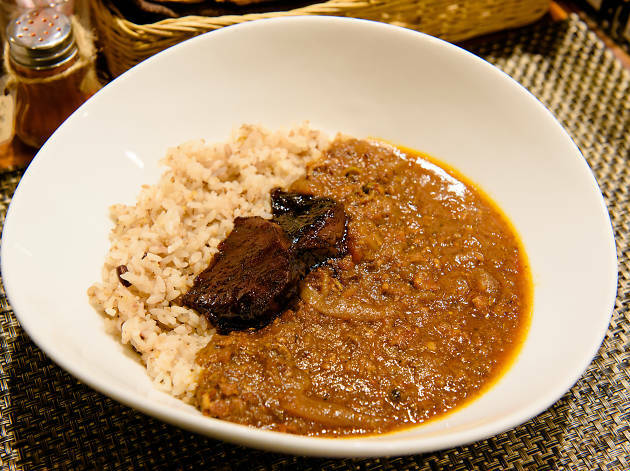 Aside from the curry – there are currently nine types on the menu, plus one seasonal option – Spoon has another standout dish that’s popular amongst regulars. The questionably named Tomato Mousse Lemon Jelly is exactly what it sounds like, with a layer of vegetables separating the mousse base from the jelly on top. Sounds like an overpriced gimmick, but it’s not. Like everything else at Spoon, this ¥790 photogenic marvel is an adventure your palate will thank you for. 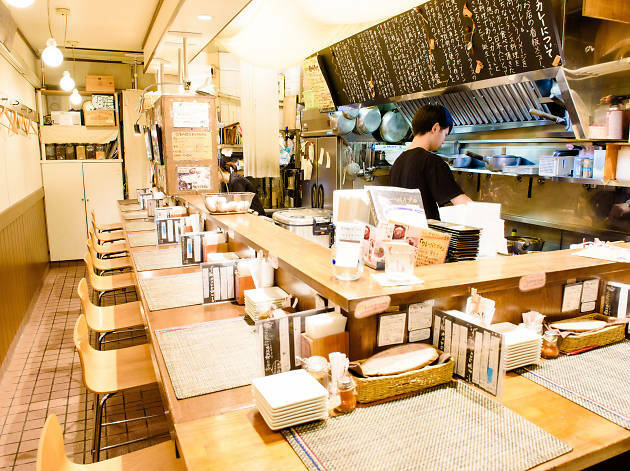 As a Nishi-Ogikubo staple, the restaurant’s sentiment reflects a neighbourhood where quality is prized but anything raucously fancy seems out of place. Eating at Spoon guarantees bar seating, but there are only 11 spots spaced out along a counter that curls around the open kitchen. 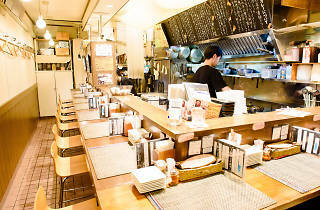 There’s a near-constant line during lunch and on weekends, so the staff recommends you show up 10 minutes before the doors open.